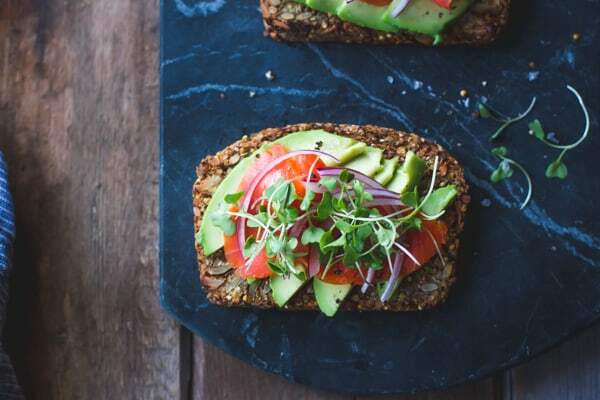 This gluten-free, vegan bread recipe uses no leavening, and it bakes up into a dense, toothsome loaf that makes killer toast. Easy peasy and über-healthy, what’s not to love? My holistic chiropractor, Ann Brinkley, is always on at me to eat more protein. “What did you have for breakfast today?” she’ll ask as she digs her thumbs viciously into my IT band. I’d always answer, “a smoothie” or “fruit with yogurt and granola” or “cake”, knowing she’d never be satisfied with my answer. Then I made Josey Baker’s Adventure Bread. In fact, I made it six times. I ate it every morning. Knowing that it was waiting to be sliced, toasted, and topped with cream cheese, avocado and sprouts was what got me out of bed some mornings. This time, I was ready when Ann asked after my breakfast. “I’ve been making this bread that’s all nuts and seeds. It’s really healthy. So I had a slice of that with cream cheese and avocado.” She gave a noncommittal grunt, and I could imagine her picturing conventional “whole wheat” bread with a smattering of seeds in a matrix of refined white flour, and subsequently praying for my blood sugar level. I considered trying to convince her, but thought better of arguing with a woman who was about to crack my neck. So I just went about my adventure bread baking quietly. Sometimes I’d use olive oil, sometimes coconut. Honey in place of maple syrup. Or I’d add some pumpkin puree or play with the seed combo. 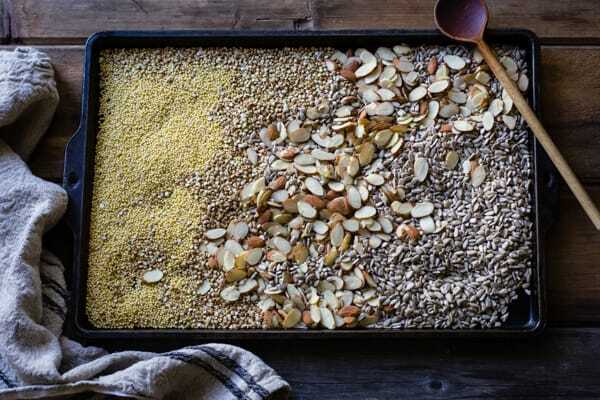 But my favorite addition was a smattering of buckwheat groats and millet seeds. 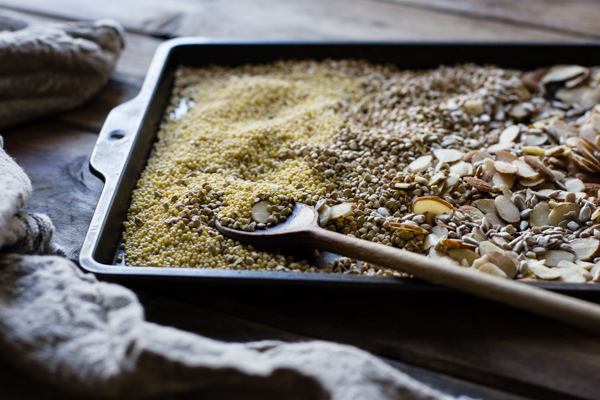 The millet adds crunch, and some bites leave you with buckwheat’s deep flavor to which I’m kind of addicted. I think it’s fair to say that I’m addicted to this bread as well. It’s got a lovely, nubby texture that you can really sink your teeth into, and toasting it yields a crunchy crust. The flavor is mild enough to go with whatever sweet or savory toppings you like. After the initial trip to the co-op to stock up on psyllium husks, nuts, seeds, and grains, this loaf comes together in no time. Letting it hang out in the pan prior to baking helps to hydrate the grains and nuts, making for a more cohesive loaf, but the time is completely hands-off. I hope this bread is as lovely an addition to your routine as it has been to ours. If you give it a go, I’d love to hear about it! Be sure to source certified gluten-free ingredients (especially oats) if you or your bread-eaters are highly sensitive. Feel free to trade the maple syrup for honey, the coconut oil for olive or sunflower. Sarah answers a lot of substitution questions in her post, so check it out if you have some! 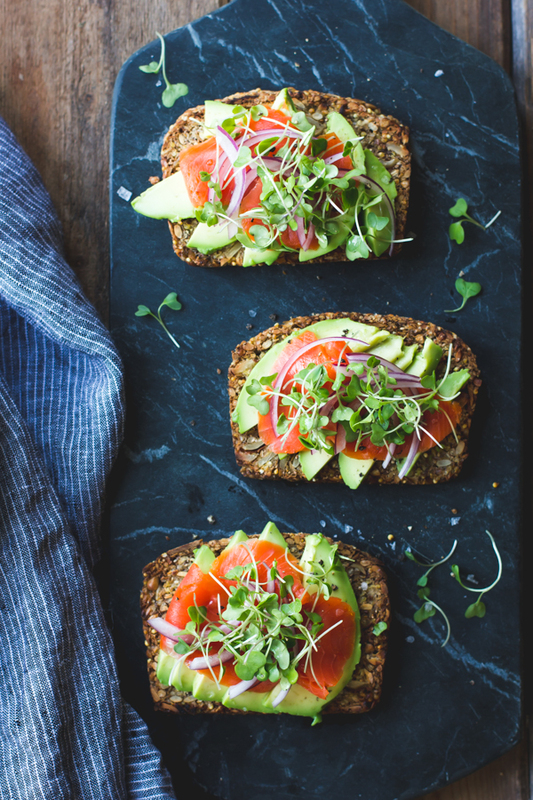 I like this bread best toasted and slathered with cream cheese, avocado, red onion, sprouts, and lox if I’m feeling festive, but go wild with your favorite toast toppings. I’ve got my eye on this kimchi grilled cheese from Karen at Honestly Yum (and the corresponding cocktail [!] by Todd). Position a rack in the center of the oven and preheat to 325ºF. 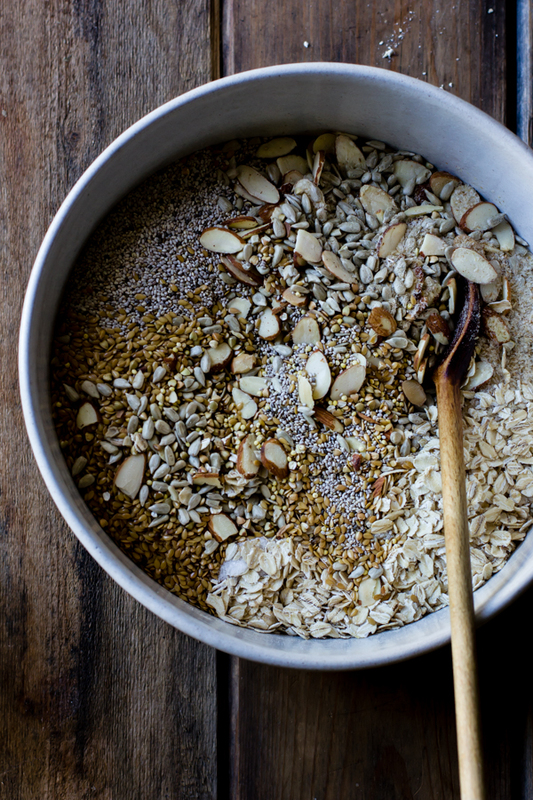 Spread the sunflower seeds, almonds, buckwheat groats, and millet seed on a rimmed baking sheet. Toast in the oven until golden and fragrant, 8-12 minutes. Meanwhile, in a large bowl, combine the oats, flax seed, psyllium husk, chia seed, and salt. When the sunflower seed mixture has toasted, add it to the bowl and stir to combine. Add the maple syrup, melted coconut oil, and water, and stir to combine well, using your hands if need be. Line a loaf pan (8×4 or 9×5″) on all sides with parchment paper. 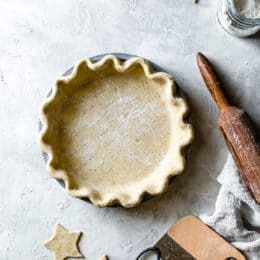 Scrape the dough into the pan and use damp fingers to smooth the top, creating a slight dome. Cover the dough and let sit at room temperature at least 2 hours and up to 24 hours. When ready to bake, position a rack in the center of the oven and preheat to 400ºF. Uncover the bread and bake until deeply bronzed, about 1 1/2 hours (but check it at 1 1/4 hours). Remove the bread from the oven and let cool completely, at least 2 hours, then remove from the pan and discard the parchment. The bread keeps well, refrigerated airtight, for up to a week or even two. Slice and toast for best results. I think yours is the prettiest of these loaves I've seen! 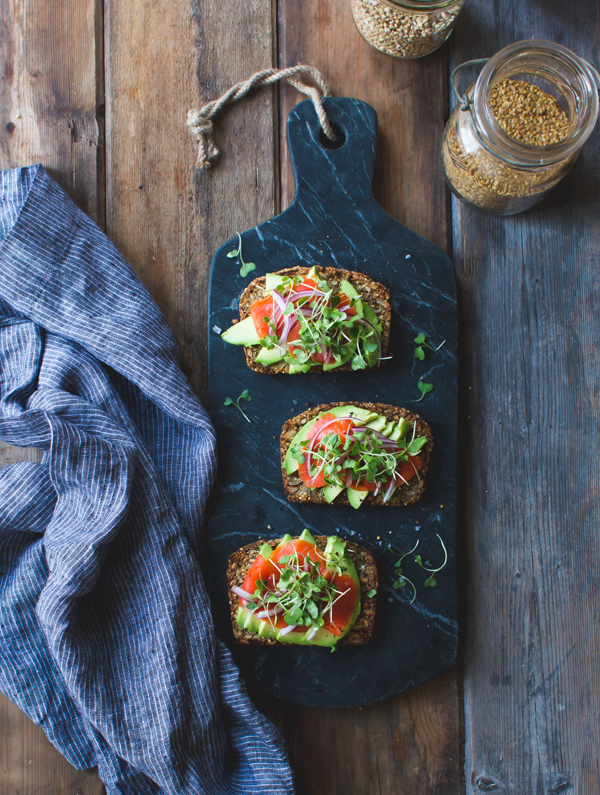 I have some of Sarah's version tucked away in my freezer now, and love it for avocado toast. 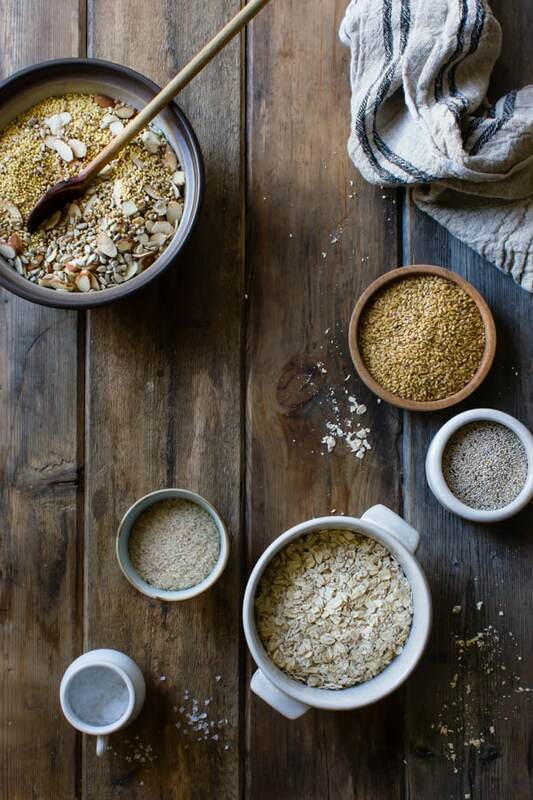 I cannot wait to try yours with buckwheat and millet! Not sure I need to change my life but I'll definitely give this a try. Thank you for this and your lovely blog as always ! Haha, touché! You're quite welcome. can i omit psyllium husk or replace it? I don't think so, but let me know if you find something that works. The psyllium husk is actually the glue that keeps everything together! So not a good choice to leaf away! Just this morning I was thinking to myself that I really need a new healthier breakfast option. I'm so sick of eggs. This loaf is exactly what I was looking for. Quick question though: is there a suitable sub for the rolled oats? Quinoa flakes are a good substitute for the rolled oats! 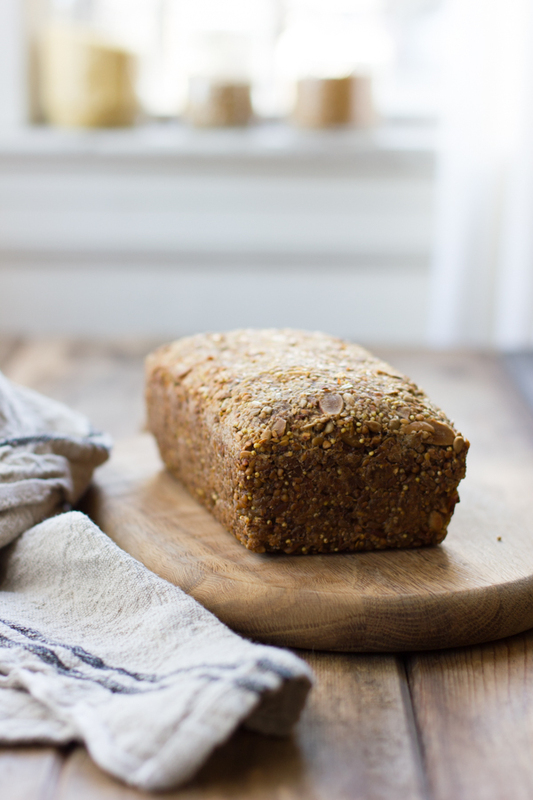 I make this loaf a lot with quinoa flakes instead of oats and amaranth seeds instead of millet. Also I do omit the maple syrup. It always turns out beautifully and everyone loves it!! Such a great recipe – many thanx!! That’s great to know that quinoa flakes work here as well as your other variations. Thanks so much for sharing and for the sweet note! Let me know if you try quinoa Nora! You'll probably need to play with the other quantities as well. We love love love this kind of bread in the morning, toasted. I can't wait to try this recipe, great photos! This bread looks great and i'm sure it would toast up well but I don't have a toaster. How is it untoasted? It looks like it would pack well to take to work or evening class perhaps topped with nut butter. The more seeds in bread, the better! This sounds lovely! 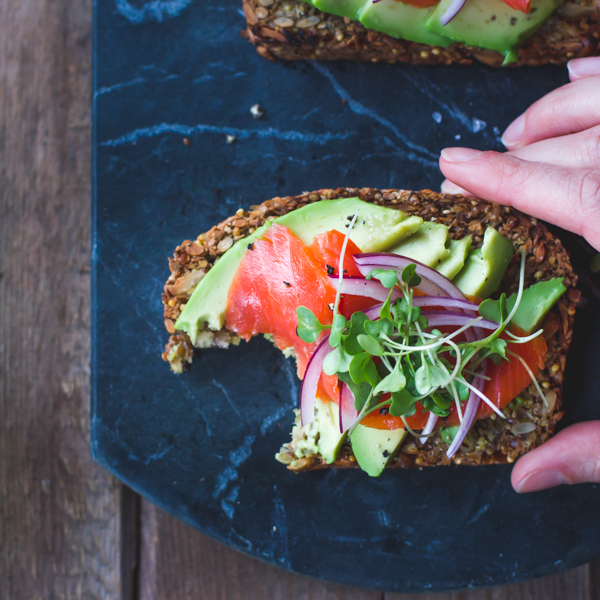 This bread looked gorgeous on its own, but I was truly won over when I saw the avocado + salmon on top! Can't wait to give this a try — yum! Absolutely amazing, making a loaf this week! Ah cool! Let me know how you like it! I love that texture, what a gorgeous loaf! I love a good hearty bread and this looks like my ideal loaf! Good thing I work by a Whole Foods so I will have to drop by on my way home and pick up the ingredients to make this! Also, where did you find that striped linen towel? I love the texture! Look at that texture! It's GLORIOUS! I love it so much and am dying to try it. This is just heavenly! All that texture and goodness packed into one loaf! It's gorgeous, Alanna. It looks gorgeous! 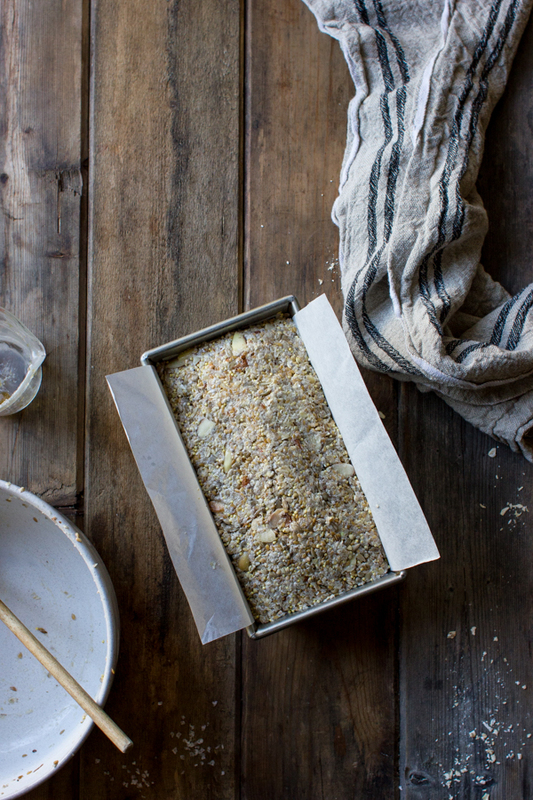 I always soak my grains & nuts … would that be in anyway possible making this pretty loaf? I think so. The whole mixture sits for several hours or up to a day prior to baking. If you want to give the ingredients more soaking time than that prior to mixing, I think you would just want to take down the water in the recipe. By how much, I don't know. Let me know what you come up with! Awwww! You're the sweetest Pang, thanks! I used flax meal instead of whole seed, and dark molasses rather than maple syrup. Oooh I love the idea of molasses here. Yay, happiness! I cut the bread into slices and froze it, and it has become a regular part of my diet. I've done everything with this bread – today I used two thin slices of onion to cook eggs in, fried up a piece of bacon, and made an open-faced sandwich. I added black salt, pepper, and a bit of nutmeg to the top. Everything I do to this bread is fantastic. Thanks so much for introducing me to the concept of seed bread! I'm off to try your mint chocolate ice cream… dairy free. Wish me luck! Omg, yum! I am so trying that! How did the ice cream go?? Ugh, not so hot. Non-dairy is tough! Aw! You're so sweet! Thanks for sharing <3 I just was perusing the comments while I wait for my nuts/seeds to toast for a loaf of this magical bread! Ob. Sessed. I've made this bread every week since you posted the recipe. Literally the best thing ever. Thank you, thank you, love this recipe. I used sesame instead of sunflower seeds because that is what I had in the pantry. My Italian, bread loving husband thought it was wonderful. Bless you…. What a divine recipe. I used sesame seeds in place of the sunflower since that is what I had. It turned out great, served it to my non bread eating guests and they wanted the recipe. Thank you for sharing. Just made this today! Thanks, Alanna, for introducing me to this bread. I have celiac disease and I never liked „bread with nuts”, so this was a twofold lifesaver, thank you! 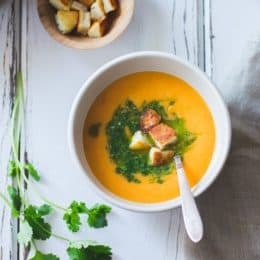 Would it be acceptable to you if I translated this recipe into Hungarian on my personal blog (a lot of people do not speak English and this would really help them)? With a link and acknowledgements to your blog, naturally. So glad you love it! I'm down with that; if you could send folks my way for the photos that'd be great. Thanks! Cooked a small qty of mix in toasted sandwich maker, delicious with humus ,avocado, red onion and tomato. Great recipe. Oh my…. U are a amazing photographer… Im drolling… Thanks for the recipe and those lovely pic.. Unfortunately, I have a nut allergy in addition to my gluten allergy. Do you have any suggestions for a replacement for the almonds? Sure, just use a different nut or seed. I'd probably go with pumpkin seeds since they're similar in shape and size to the sliced almonds. LMK how you like it! One question though: why do i need to add the oil? And do u think its possoble to replace it w more water/ to leave it out completely? I have diverticulitis so seeds and nuts can cause issues. Would it be possible to grind all ingredients to form a course flour and still make this bread? I didn’t have a lot of these ingredients, so I substituted a lot. Not enough rolled oats, no psyllium, almonds on hand were either whole or ground…but, that didn’t stop me. I substituted ground almonds for most of the sliced and the rest was chopped. I used sesame seeds, too. Just, whatever I had. It turned out awesome. The opposite of balloon white!! This sounds great too! I am gradually trying out each of these life changing breads and having some good food too! Soup galore with my sands of all kinds. One healthy winter to come I think! I love the idea of molasses too, as I do, I think why didn’t I think of that….? Of course, perfect! So, my first try after Xmas for you are now in line is molasses as I just must do that one. Sounds like Hogmanay to me…what do you think? I made this last night and let it sit about 16 hours before baking it up this morning. I have to be honest, at first adding the water I was nervous it was too much, but it quickly soaked up and made a beautiful “batter” for the loaf. I baked it for an hour and 15 minutes in a glass loaf pan with parchment. The top came out crispy and the bread was still slightly soft in the middle. Being a gluten-free vegan, this is EXACTLY what I’ve been looking for in a wholesome, nutrient-dense bread. It tastes nutty but still a bit of sweet. Absolute perfection. Going to try using this base for muffins next time! Thanks so much! That’s such a good question. I’m guessing it would work, though you may need to add more water since the ground ingredients will likely absorb more liquid. Please report back if you give it a go! Hi, I made this last night and absolutely love it! It’s just what I was looking for. In your post, you mentioned adding pumpkin purée. Do you have to change the balance of any ingredients when you add a fruit/veggie purée to it? About how much did you add? Hi Jena, I’m so glad you like the bread! I actually ended up making a bunch of little tweaks to the pumpkin version and putting the recipe in my book, which is due out September 13, 2016. (Read all about it here: https://bojongourmet.com/cookbook/) I hope you don’t mind waiting a bit for the recipe! Can flax be subbed out? My husband is allergic to it. Not sure, but LMK if you find something that works! Maybe more chia in its place? Is the flax used as an egg replacement or simply for its seediness? 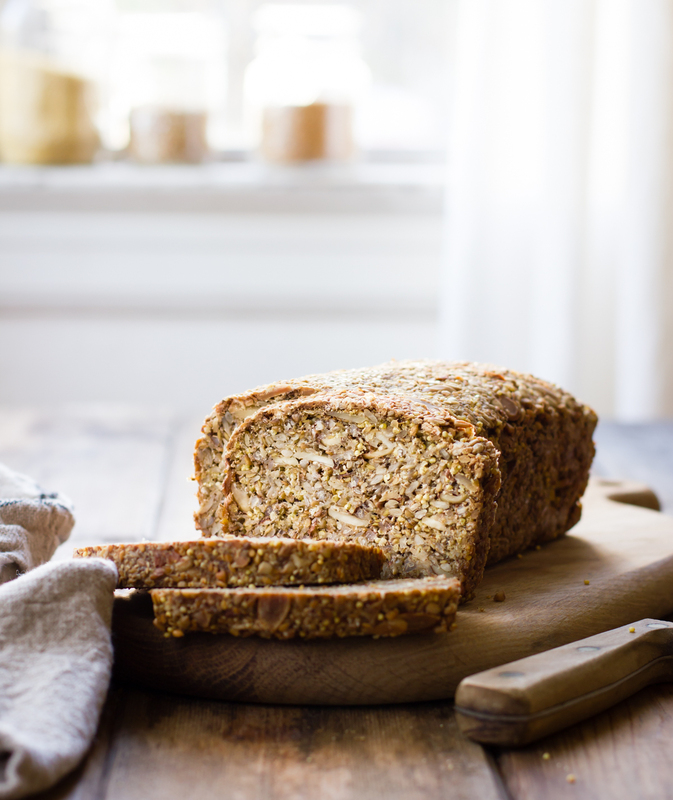 Kind of both – it helps hold the bread together in conjunction with the psyllium and chia. I found all the ingredients except the buckwheat groats. Could I just add more sliced almonds? Also, do you happen to have the nutritional content to this recipe? and ready to bake! Cant wait to taste it! Made this recipe – baked this morning. Let it cool an hour, but couldn’t wait any longer. Sliced and had with a piece of cheese – omg heaven. I will never by crackers again. Will also use to spread with hummus. Yummy! Thanks. Yay!!! I’m so glad you like it! The recipe says to bake for 1 1/2 hours! at 400°…that’s a long time at such a high heat….I didn’t see another comment questioning the temperature, but I had to check to make sure. I hunted for a recipe like this. psyched to make it! Thanks! Love this bread.. Quick question what does psyllium husk add to the bread? Does hold together ? That’s a great question! I didn’t know there was a difference. I’m pretty sure the stuff in the bulk bins at my co-op is hulled… but if I find out otherwise, I’ll report back! Thanks for your reply Alanna. I was thinking hulled. i’m allergic to oats. can you do this without any oats? Just wanted to say that in my excitement to make this recipe, I accidentally skipped the step of toasting some of the ingredients first. I was very worried, but in my opinion, the resulting product was fantastic anyway! 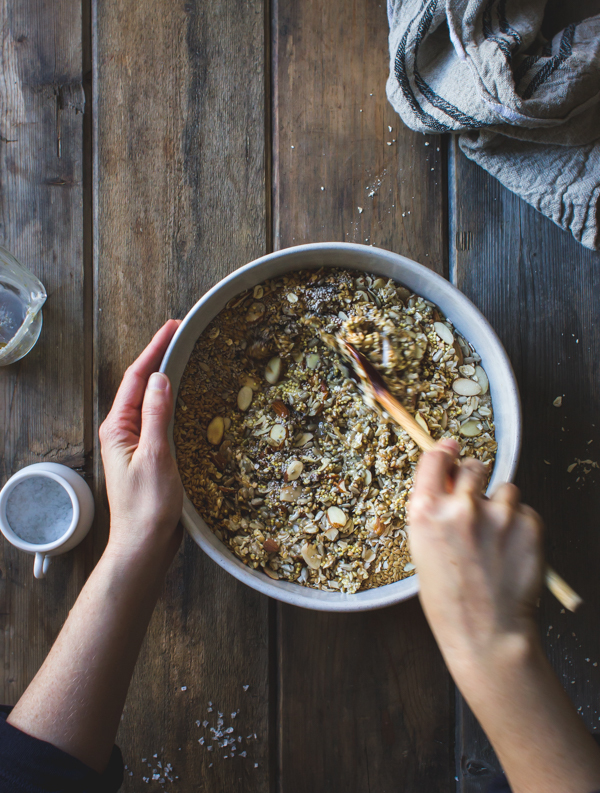 You could try just using extra oats – the recipe is quite forgiving! Question for you – I made the Josey’s Adventure bread a couple of weeks ago and while I loved the texture of the outer 1/2″, and the flavor of the bread, the inside had a weird, gummy texture. Underbaked? Too much psyllium or chia? 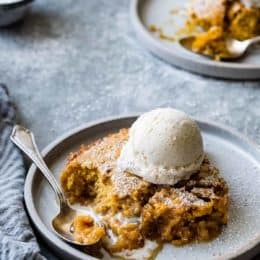 Any recommendations for how to tweak the recipe? I just bought a Grindstone Bakery (Sonoma, CA) sprouted seeds loaf and the texture is perfect, as a comparison. Hi Anne, I hear you about the texture – it does tend to be very moist, which is why we like to give the slices a good long toast in a cast iron skillet on the stove. I’m a fan of Grindstone, too! That bread is made with flour and sourdough starter, and is quite a different process from the adventure bread. I’ve been making a GF sourdough that is similar and which I hope to share here someday, but it’s more complicated and tricky to get right. If you tweak the adventure bread, come back and let me know what you find! Your instincts all seem correct to me; you could try decreasing the liquid a bit, too. Thanks Alanna, I’ll give it a try and report back. I baked this bread last night. I wasn’t able to cut the bread, it was all crumbly. Any suggestion what went wrong? Thank you. Did you make any changes to the recipe? All other readers have had success with it. It’s definitely not like regular bread because it doesn’t have any gluten to hold it together. I recommend cutting the slices a bit thicker than you normally would using gentle but firm pressure. Toasting helps a bit. I think next time I make this recipe I’m going to try grinding some of the ingredients first to see if it holds together a bit better. I haven’t made any changes. Trying grinding some of the ingredients is what I was thinking too. Hopefully next time it will come out as it should. Absolutely love this bread. The hardest part is buying all the ingredients! It is so easy and it tastes so good. I love it toasted. I am a real “bread person” but have had digestive issues since having some colon surgery. This gives me all the fiber I ever need, plus the crunch (when toasted) that I love so much of toast. Have made it many times, and shared the recipe many times too. I love this bread too I’ve made it quite a few times now. It’s so delicious. Thanks for sharing your recipe. Hi! I can’t eat oats – any substitutes? I can eat rice flakes if that would be the same? I haven’t eaten bread in so long and am dying to try this! I’d say it’s worth a try! Let me know if you give it a go. Absolutely delicious! Didn’t have any millet in the larder so subbed amaranth but I can see that it would be a very versatile recipe. Thank you! Amaranth seems like a perfect substitute for millet! I have been making Sarah’s “Life Changing Bread” since she first posted it and loved it. Then I came across this recipe and tried it and I must say, it’s my new favourite. The buckwheat groats and millet add the perfect crunch. I sometimes add hazelnuts to sub for almonds, and its scrumptious. I never tire of this bread as its versatility is as good with almond butter and blackberry jam as it is with hummus, sprouts, sliced red onion and tomatoes. I have forwarded this recipe countless times. Aw, thanks so much for trying my recipe and for the sweet words – I’m so glad you like the bread! Those serving suggestions sound delicious, as do hazelnuts. Yum! Thanks a lot for this recipe. I found it, i made it and it hit me. Straight in my heart. I plan to make it again next week and the week after that. Great. Just what i needed. I have always bought seeded bread but it would never come up to the mark with me and I avoided eating bread as much as possible. At 81 I find Cooking a big upheaval even though I love it. I made this Loaf last night sliced it up this morning and put it in the freezer. I use Jam covers to separate the slices. This will last me a while. Love this bread and actually made and loved a similar “life-changing loaf” recently but unfortunately my celiac doesn’t love even certified GF oats. 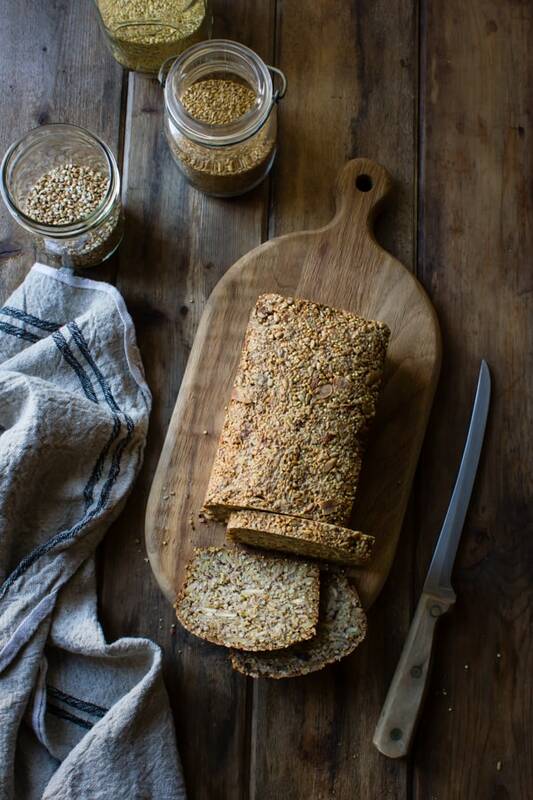 Do you think there would be any sub for oats in this loaf that would work?! Hi Sadie, I’ve never tried it without oats, but there are a bunch of comments on Sarah’s life changing loaf recipe. It looks like a bunch of folks have subbed in quinoa flakes 1 to 1 with good success! It looks like you could try rice flakes, too! https://www.amazon.com/EDEN-Brown-Flakes-Ounce-Pouches/dp/B001QXYWPE I don’t love the taste of quinoa flakes, so rice might be tastier. Let me know if you try either of these! Hey! I don’t know much about the consistency of psyllium husk, but just wondering, do you know if I could substitute rye flour for the psyllium husk? Is psyllium husk a flour like substance? 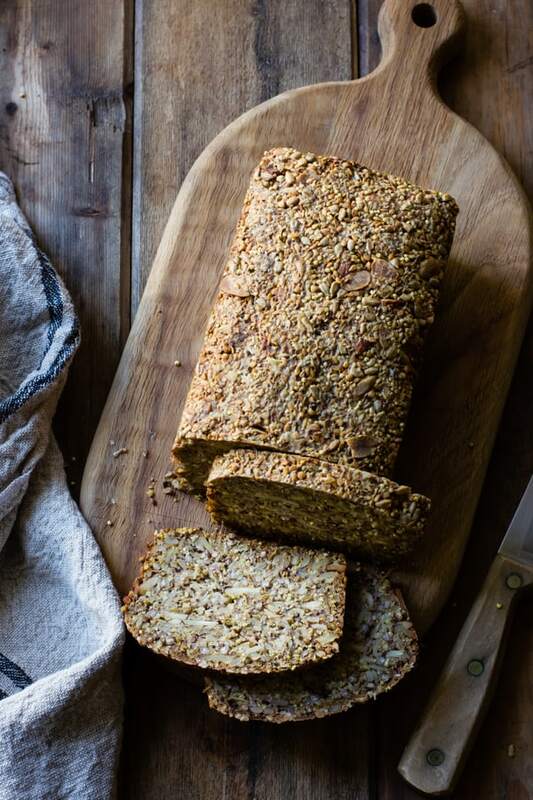 I really want to make this recipe, but would rather use rye than the psyllium… So I’m interested to hear whether you think it would be worth giving a shot as the bread looks really good! I am on a medically restricted diet, which includes adding psyllium daily. I went online to find some options to incorporate it into my diet. Having read through the many versions of this bread on other sites, I settled on your recipe. I mixed the ingredients yesterday afternoon, baked the bread this morning, and let it cool while I ran errands. I’m back home and have just finished a toasted slice with a splash of olive oil. Beautiful! I am so glad I found your precise and easy to follow recipe. The bread sliced perfectly, it’s not too moist, not too dry, just right: simply delicious. Thank you for creating this recipe/version of Adventure bread! This is such a delicious bread it has seriously been a life changer! So dense and toothsome (which most gf breads lack) and full of fiber and good things for the body and soul. It reminds me of a bread I picked up at a gluten free bakery in Paris a few years back. I love all the nuts. Wondering if throwing in some dried fruit would work? Yum! Just used this bread to make toast with pb&j as a snack. I love the crunchy and hearty qualities this bread adds! I cannot wait to add different toppings. Thank you for the recipe! Bonus: I love how I don’t feel guilty about devouring an entire slice. Also for those who, like me, didn’t have psyllium husks, I substituted them with 15g ground chia + 15g flax seeds and it turned out pretty well. Hi Nuriya! Thanks so much for trying the bread! Do you mean argan oil? Amaranth sounds like a delicious addition. I actually found some super sweet strawberries recently too! I put it in for an hour and checked and it’s all brown on the top and burned… should I cover and put back in 20 minutes or keep it out???? Hi Heather, wondering whether your oven runs hot and/or if the bread was placed too high in the oven? I’ve made this a bunch of times and so have other bakers and I’ve never seen this happen. Hopefully it’s still salvageable! I’d recommend getting an oven thermometer to test your oven temp – I never bake without mine! another comment- how do you keep it cohesive? I felt like I molded it really well but when I cut it it crumbled to pieces and I was left with a lot of thick pieces in halves. Otherwise it tasted great and my fiance loved it! That’s interesting – I haven’t had that happen when I’ve made it and haven’t gotten that feedback from other testers. Did you change the recipe at all? So glad it was still a hit! Can i use psyllium husk powder? Probably, you’ll just want to research what conversion to use. Please come back and let me know what you try! Do I need a pizza stone ? Or, I can bake just like that ? This bread came out exactly like the photos. I could not believe how well it sliced. I had to omit the millet seeds as they don’t seem to be very available in Australia. I subbed LSA instead. Not similar but I thought it may be a good addition anyway. I am onto my second loaf and it’s certainly best toasted. Thanks so much for this awesome, healthy recipe. Thank you so much for this glorious bread recipe. The buckwheat groats (which I normally don’t like) make all the difference! I love making, baking and eating, oh yes and sharing, this bread. It’s the epitome of self care! I’m not sure, but please let me know if you try that substitution! Hi. The loaf looks great. I am.a little confused about the type of millet used here. Hm, good question. We only have one type here in the US but I’m not sure which it is – I know there are multiple varieties and I’m not sure how they differ. Any guesses?? I just tried this. I’ve been searching for a good gluten free bread replacement for several years now. I’ve tried various ones, but nothing that works for me, until now! The flavor is so nice, and it is very filling. I’m surprised how well it sticks together. I made 3 loaves, sliced it up and froze it, so I can just pop it in the toaster and go. It’s so good that I ate 3 slices when I first tried it. Hopefully, I can better contain myself in the future. :-) note: I added pumpkin seeds and sesame seeds to mine, just because they were there and I like them. I know it took you a lot of time and effort to figure this out, and I really appreciate you sharing it! Left out almonds, replaced with pumpkin seeds. Used buckwheat flour instead of groats. Had no chia so left out. This is is soooooo tasty. The best gluten free bread i have ever tasted. This is the best GF bread I have had, ever. And I can make it at home. Thank you!